Fashion Walk is a unique fusion of indoor and outdoor elements right in the middle of Hong Kong's Causeway Bay, encompassing four vibrant streets: Great George, Paterson, Kingston and Cleveland. This is a smart shopping destination, offering the latest trends in fashion, gastronomy and lifestyle, all in a magnificent setting. No wonder more and more cutting-edge concept stores and brands are opening their flagship stores here. 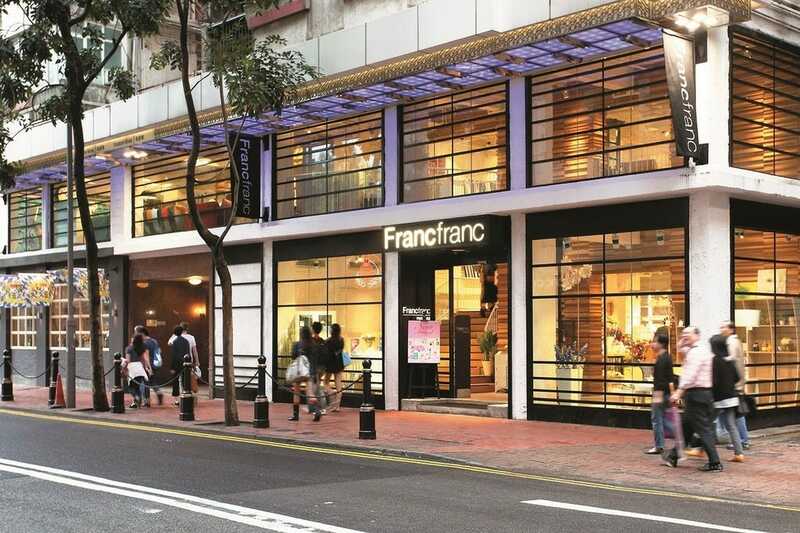 Recent additions to Fashion Walk include LOG-ON lifestyle store – Hong Kong Island’s biggest outlet, which has a special member zone; Michael Kors, Hong Kong’s first full collection flagship store; Ted Baker – Hong Kong’s first flagship store, which is decorated using the theme of trams in Hong Kong and trains in the UK; the two-story Armani Exchange, Kate Spade New York, and Max Mara flagship stores; and the newly opened Just Cavalli and Versus concept stores. The opening of H&M’s first and largest global flagship store in Asia is expected to further inject new energy and boost the shopping ambiance of the district. This will be the world’s biggest H&M flagship store (Fashion Walk Great George Street); it's due to throw open its doors in the fourth quarter of 2015. Many popular dining outlets including Wildfire, Elbon, Cedele and Simplylife have landed at Fashion Walk Food Street, with comfy al fresco and indoor seating to allow diners to experience tranquility amidst the hustle and bustle of the vibrant city. Fashion Walk is the choice shopping destination for fashionistas and trendsetters and one of Hong Kong’s most unique shopping destinations. The reasons for its popularity are straightforward. It concentrates a large number of well-known names in a comparatively small area. It has landscaped the area to make shopping more pleasant. It has brought in some choice dining venues, so that dedicated shoppers out for a day of retail therapy can pause for lunch and even supper too. And it plays on Hong Kong's memory, as Causeway Bay has long been a mecca for shoppers, whether in large-scale department stores or higgledy-piggledy street markets. Fashion Walk has become a popular destination for Hong Kongers and especially for the many visitors from Mainland China, who appreciate buying genuine goods at respectable prices. And one of the most pleasant aspects of Causeway Bay is Victoria Park, one of the city’s “lungs," which lies just to the east of Fashion Walk. It's a great spot to take the weight off your feet and admire your purchases. Ed Peters, not noted for his fashion sense, still greatly admires Fashion Walk.